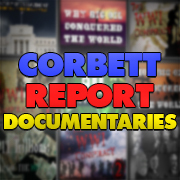 http://www.corbettreport.com/mp3/2016-02-10%20James%20Perloff.mp3 Although it gets short shrift in the history textbooks, in many ways the modern American empire can find its origins in the Spanish-American War. Today we talk to James Perloff of JamesPerloff.com about his article on the war, “Trial Run for Interventionism,” and how the bankers used their media and political connections to launch the war and introduce foreign interventionism to the American psyche. 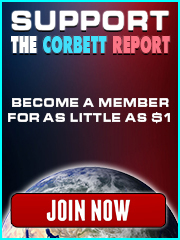 http://www.corbettreport.com/mp3/2015-06-25%20Financial%20Survival.mp3 On the 65th anniversary of the beginning of the Korean War James is joined by James Perloff of jamesperloff.com to discuss his in-depth article, “The Korean War: Another Conflict that Served the Illuminati Agenda.” From deals with the Soviets to protection for the Chinese to pulled punches and “missed” opportunities, we examine how the pretext for the war was created, why it was thrown, and who was behind it. http://www.corbettreport.com/mp3/2015-04-30%20James%20Perloff.mp3 On the brink of the 100th anniversary of the sinking of the Lusitania, James Perloff of JamesPerloff.com joins us today to discuss his in-depth expose of the incident, “False Flag at Sea.” We talk about the sinking of the ship and how it was used to sway American public opinion on “The Great War,” how the event was planned and engineered, who masterminded the plan, and why it still matters a century later. http://www.corbettreport.com/mp3/2014-08-08%20James%20Perloff.mp3 Author and researcher James Perloff joins us once again, this time to discuss his most recent book, “Truth Is A Lonely Warrior.” We discuss a range of subjects covered by the book, from false flag events and pretexts for war to the depopulation agenda, Zionism, the Rockefeller-funded ecumenical movement, the culture creation industry and more. We also engage in a discussion on differences in political ideology and the solution to the global government agenda. In his groundbreaking (and bestselling) 1988 book, The Shadows of Power, author and researcher James Perloff meticulously documents the origins, aims and influence of The Council on Foreign Relations and its members. Today Perloff joins us to discuss the CFR, its acknowledged goal of preparing the American public for a new world order, and how it is working to accomplish that goal through the control of America’s foreign policy apparatus. http://www.corbettreport.com/mp3/flnwo21-lq.mp3 On this edition of Film, Literature and the New World Order James Perloff, author of The Shadows of Power and Truth Is A Lonely Warrior, joins us to discuss the 1970 Hollywood/Japanese production, Tora, Tora Tora! We discuss Perloff’s recent article on the Pearl Harbor deception, “Pearl Harbor: Roosevelt’s 9/11” and the pieces of the Pearl Harbor puzzle that the movie leaves out. We get into the details of where the movie came from and how it paints Pearl Harbor as a tragic accident rather than a devious deception.